An expert, informed opinion is always useful – so here’s one I discovered recently. Paul Hawken has been working on deeply sustainable business since the 1990s. His list of achievements is massive. His most recent project was the first ever research into REVERSING global warming with existing, scalable technology. 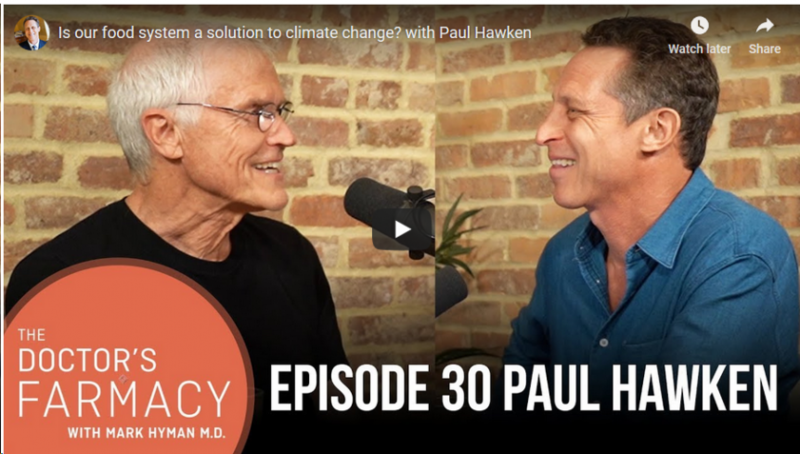 At the end of a detailed (and awesome) podcast about the Project Drawdown solutions, host Dr Mark Hyman asked some broader questions about how best to respond to global warming. We don’t say “we’re right” – we say “we think it’s approximately right – here’s the data, here’s the sources, help us” …. …we use language that is not divisive – that is not sports and war metaphors, about ‘control’. Warming changes the circulation models. You can’t model climate – you can only model air movement. We DON’T tell people “what they should do”. (1:17:20) If I tell you what you should do, you should run. The thing you should do is what lights you up. The thing you should do is what turns you on. There’s been an over emphasis on what “you” can do – “you” you” “you” “you”. The only way we are going to solve this is to come together and be a “we”. So what COULD you do? What opportunities COULD you be part of? Get educated about the evidence based solutions – not “everybody knows” – but what has evidence? Get beyond “drive less” and “forever water bottles” into the full smorgasboard of no-regrets, existing solutions. Project Drawdown’s list is a great place to start, but there’s a whole realm of innovative, creative, constructive action on offer. Look for the action that “lights you up and turns you on” – whether it’s marine permaculture, educating girls or smart energy grids. 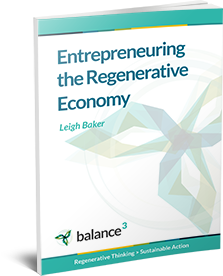 Find a “we” to be part of – a constructive, active, bottom up “we” – one full of entrepreneurial thinking and focused on local, regenerative action.